Blockchain technology continues to make strides with cryptocurrency as one of its best manifestations. Since its inception, the technology has sought to decentralize its operations. Blockchain operates mainly through peer-to-peer systems, where decentralized miners validate the transactions. However, that may not be entirely true especially when it comes to crypto exchange which can either be centralized or decentralized. Essentially, most crypto exchanges are centralized when they should actually be decentralized. In this write-up, we discuss centralized exchanges and how they compare to their decentralized counterparts. A centralized exchange is essentially a website on which you can trade any cryptocurrency. They are usually owned by companies that act as intermediaries and facilitate crypto trading. On these platforms, you can trade cryptocurrency for other cryptocurrencies as well as fiat currency. These middlemen usually charge a fee for the trading services they provide. They work very well as the first point of contact for people who are buying cryptocurrency for the first time. That’s because many individuals feel comfortable when they have someone to act as a connection between the real economy and the blockchain world. • Providing traders with a wide variety of services especially when it comes to exchanging cryptocurrency for fiat currency and other currencies. • Holding the cryptocurrency on behalf of traders thus relieving them the need to take charge of its safety. When someone wants to sell, all he or she has to do is go back to the platform and trade. • A centralized exchange would automatically adjust your wallet balance in conformity with crypto market changes. As a buyer, you may not have the expertise or time to handle the split in the value of the cryptocurrency. • Overall, a centralized exchange will be much cheaper given the fact that they can handle a lot of orders apart from holding custody of the cryptocurrency. Therefore, a trader doesn’t have to pay for a wallet. • It is highly likely that your cryptocurrency could be compromised or confiscated. Of course, the centralized exchange may not be up to any mischief. But they are vulnerable to hackers who may want to benefit from the huge resources they control. • When trading through a centralized exchange, you are not in control of the decision-making process, yet you will be affected by the direction the management takes. That leaves you vulnerable, especially when the decisions made by the management lead to unmitigated losses. When an exchange is decentralized, it hardly requires an intermediary for them to operate. Unlike their centralized counterparts, they don’t work by matching orders from buyers with those from sellers. Rather, a decentralized exchange matches the individuals buying or selling on the crypto market. After the buyer and the seller have been matched, they can determine the final price and go through with the transaction. In the place of an intermediary, a software automatically matches a buyer and seller. • You will pay little or no trading fees, given the fact that the decentralized exchange does not need intermediaries. • On a decentralized crypto market, you will hardly be asked to divulge information concerning your personal information and identity. You do not, therefore, have to share your passport number. You can maintain your privacy by sharing personal information only with the person with whom you are trading. • A decentralized exchange is also more secure since they do not hold the currency for the traders. The connection between the buyer and the seller is personal, which makes it more secure. You don’t have to worry about losing your money to hackers. • On a decentralized market, you can only deal in the exchange of cryptocurrency and not fiat currencies. Thus is provided limited services when compared with the centralized type of markets. You also cannot do margin or automated trading on a decentralized exchange. • Decentralized exchanges are not very popular and tend to have a smaller number of buyers and sellers. Thus finding exactly what you want to buy could be difficult. • You may also have to wait for a long time before completing a transaction, given the fact that you have to give it some time before crypto/fiat transactions get completed. 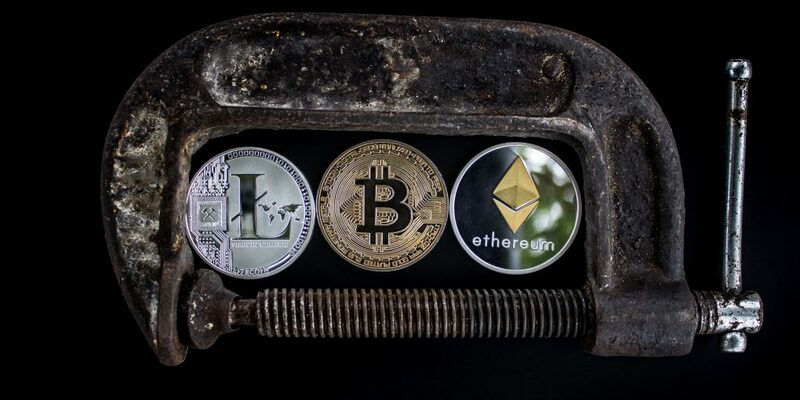 While many people prefer trading on a centralized exchange, the growing popularity of its decentralized counterpart implies crypto markets are aligning themselves to their original structure. Only time will tell how the market goes. Ava Trade Review 2017 – Does This Forex Broker Legit?